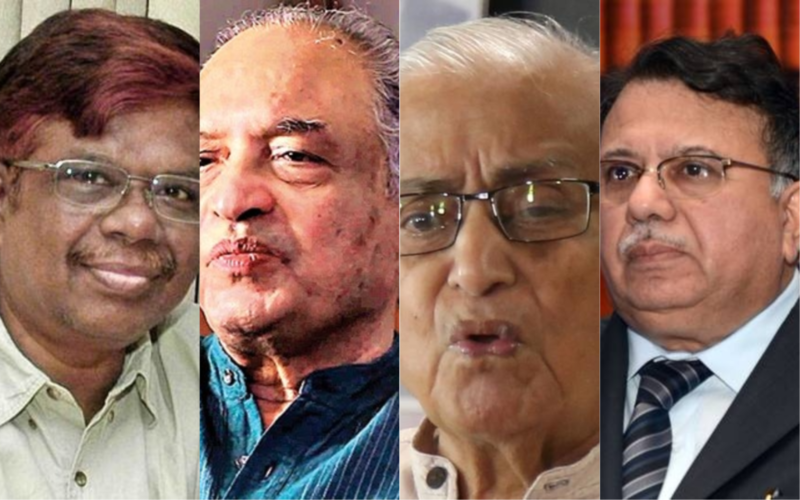 The four senior puisne Judges of the Supreme Court have brought to light a serious issue regarding the manner of allocation of cases, particularly sensitive cases, to various benches of the Supreme Court. They have expressed a grave concern that cases are not being allocated in a proper manner and are being allocated arbitrarily to particular designated benches, often headed by junior judges, in an arbitrary manner. This is having a very deleterious effect on the administration of justice and the rule of law. 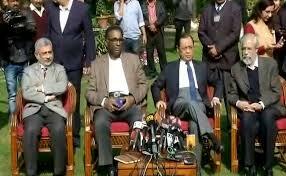 We agree with the four Judges that though the Chief Justice of India is the master of roster and can designate benches for allocation of work, this does not mean that it can be done in an arbitrary manner such that, sensitive and important cases are sent to hand picked benches of junior judges by the Chief Justice. This issue needs to be resolved and clear rules and norms must be laid down for allocation of benches and distribution of cases, which are rational, fair and transparent. This must be done immediately to restore public confidence in the judiciary and in the Supreme Court. However till that is done, it is important that all sensitive and important cases including pending ones, be dealt with by a Constitution Bench of the 5 senior most Judges of this Court. Only such measures would assure the people that the Supreme Court is functioning in a fair and transparent manner and that the power of the Chief Justice as master of roster is not being misused to achieve a particular result in important and sensitive cases. We therefore urge you to take immediate steps in this regard. It is with great anguish and concern that we have thought it proper to address this letter to you so as to highlight certain judicial orders passed by this Court which has adversely affected the overall functioning of the justice delivery system and the independence of the High Courts besides impacting the administrative functioning of the offices of the Hon’ble Chief Justice of India. From the date of establishment of the three chartered High Courts of Calcutta, Bombay and Madras, certain traditions and conventions in the judicial administration have been well established. The traditions were embraced by this Court which came into existence almost a century after the above mentioned Chartered High Courts. These traditions have their roots in the anglo saxon jurisprudence and practice. One of the well-settled principles is that the Chief Justice is the master of the roster with the privilege to determine the roster, necessity in multi numbered courts for an orderly transaction of business and appropriate arrangements with respect to matters with which members/bench of this Court (as the case may be) is required to deal with which case or class of cases is to be made. The convention of recognising the privilege of the Chief Justice to form the roster and assign cases to different members/benches of the Court is a convention devised for a disciplined and efficient transaction of business of the Court, but not a recognition of any superior authority, legal or factual, of the Chief Justice over his colleagues. It is too well-settled in the jurisprudence of this country that the Chief Justice is only the first among the equals — nothing more or nothing less. In the matter of the determination of the roster, there are well-settled and time-honoured conventions guiding the Chief Justice, be the conventions dealing with the strength of the bench which is required to deal with the particular case or the composition thereof. A necessary corollary to the above mentioned principle is the members of any multi-numbered judicial body including this Court would not arrogate to themselves the authority to deal with and pronounce upon matters which ought to be heard by appropriate benches, both composition-wise and strength-wise with due regard to the roster fixed. We are sorry to say that off late the twin rules mentioned above have not been strictly adhered to. There have been instances where case having far-reaching consequences for the Nation and the institution had been assigned by the Chief Justices of this Court selectively to the benches “of their preference” without any rationale basis for such assignment. This must be guarded against at all costs. We are not mentioning details only to avoid embarrassing the institution but note that such departures have already damaged the image of this institution to some extent. In the above context, we deem it proper to address you presently with regard to the order dated 27th October, 2017 in R.P. Luthra vs. Union of India to the effect that there should be no further delay in finalising the Memorandum of Procedure in the larger public interest. When the Memorandum of Procedure was the subject matter of a decision of a Constitution Bench of this Court in Supreme Court Advocates-on-Record Association And Anr. vs. Union of India [(2016) 5 SCC1] it is difficult to understand as to how any other Bench could have dealt with the matter. The above apart, subsequent to the decision of the Constitution Bench, detailed discussions were held by the Collegium of five judges (including yourself) and the Memorandum of Procedure was finalised and sent by the then Honourable the Chief Justice of India to the Government of India in March 2017. The Government of India has not responded to the communication and in view of this silence, it must be taken that the Memorandum of Procedure as finalised by the Collegium has been accepted by the Government of India on the basis of the order of this Court in Supreme Court Advocates-on-Record Association (Supra). There was, therefore, no occasion for the Bench to make any observation with regard to the finalisation of the Memorandum of Procedure or that that issue cannot linger on for an indefinite period. On 4th July, 2017, a bench of seven judges of this Court decided In Re, Hon’ble Shri Justice C.S. Karnan [(2017) 1 SCC 1]. In that decision (referred to in R.P. Luthra), two of us observed that there is a need to revisit the process of appointment of judges and to set up a mechanism for corrective measures other than impeachment. No observation was made by any of the seven learned judges with regard to the Memorandum of Procedure. Any issue with regard to the Memorandum of Procedure should be discussed in the Chief Justices conference and by the full Court. Such a matter of grave importance, if at all required to be taken on the judicial side, should be dealt with by none other than a Constitution Bench. The above development must be viewed with serious concern. The Honourable Chief Justice of India is duty bound to rectify the situation and take appropriate remedial measures after a full discussion with the other members of the Collegium and at a later stage, if required, with other Hon’ble Judges of this Court. Once the issue arising from the order dated 27th October, 2017 in R.P. Luthra vs. Union of India, mentioned above, is adequately addressed by you and if it becomes so necessary, we will apprise you specifically of the other judicial orders passed by this Court which would require to be similarly dealt with. नई दिल्ली| दिल्ली में राज्यसभा के तीन सीटों के लिए होनी वाले चुनाव के लिए आम आदमी पार्टी ने अपने तीनों प्रत्याशी के नाम क्लियरकर दिया हैं. बता दे दिल्ली विधानसभा में सबसे ज्यादा सीट आप के पास हैं और इस बार राज्यसभा में आप के ही उम्मीदवार जीतेंगे. विधानसभा में कांग्रेस के पास शून्य सीट है,वही भाजपा के पास 4 सीटें हैं. आप ने जिन तीन नामों की घोषणा राज्यसभा के लिए की हैं उनमें संजय सिंह, सुशील गुप्ता और एनडी गुप्ता हैं. संजय सिंह आप पार्टी के जाने माने चेहरा है.वही सुशील गुप्ता दिल्ली के बहुत बड़े कारोबारी हैं. सूत्रों की माने तो सुशील गुप्ता भूमाफिया हैं दिल्ली और खासतौर से हरियाणा में 25-30 स्कूल, कॉलेज और अस्पताल हैं. बीते काफ़ी समय से वो शिक्षा और चिकित्सा के क्षेत्र में काम कर रहे हैं और चैरिटी भी कर रहे हैं. सूत्र ये भी बता रहे हैं कि सुशील गुप्ता का हरियाणा में अच्छा नेटवर्क है. 2013 में सुशील गुप्ता कांग्रेस के टिकट से दिल्ली विधानसभा का चुनाव लड़ चुके हैं. केजरीवाल के खिलाफ कुछ महीने पहले ही 854 करोड़ का हिसाब सुशील गुप्ता ने माँगा था. सूत्र बता रहे हैं कि सुशील को टिकट उनके मुह बंद करने के लिए ही दिया गया हैं. नारायण दास गुप्ता पेशे से चार्टर्ड अकाउंटेंट हैं और चार्टर्ड अकाउंटेंट की सबसे बड़ी संस्था इंस्टीट्यूट ऑफ चार्टर्ड अकाउंटेंट ऑफ इंडिया के पूर्व प्रेसिडेंट हैं. सूत्रों की माने तो करीब डेढ़ साल से आप पार्टी का आयकर विभाग का केस जिसमें फंडिंग में गडबडी का आरोप और 30 करोड़ रुपये टैक्स देने का आदेश इस मामले को एनडी गुप्ता ही देख रहे थे. तीन तलाक़ बिल पर बहस के दौरान अकेले बैरिस्टरअसदुददीन ओवैसी ही लड़ते नज़र आए, बड़ी दिलेरी से लड़े.बीस लाख हिंदू औरतों और गुजरात की’हमारी भाभी’ के सवाल को जिस ख़ूबसूरती से रखा, पूरा सदन सकते में आ गए. आज ओवैसी की मुस्लिम समाज में ख़ूब प्रशंसा हो रही है.वो भी मुसलमान उनकी भूरि- भूरि प्रशंसा करते नहीं थक रहे, जिनका हलक उन्हें भाजपा एजेंट कहते छिल जाता था.ऐसा नहीं कि, ओवैसी अकेले मुस्लिम सांसद हैं. जानकारी केलिये वर्तमान लोकसभा में तेईस मुसलमान मौजूद हैं.बदक़िस्मती से दो उलेमा *मौलाना असरारूल हक़ क़ासमी और *मौलाना बदरूद्दीन अजमल कासमीभी मौजूदा सदन के ही सदस्य हैं.दोनों उलेमा ने तीन तलाक़ बिल का कितना विरोध किया, ये शायद बताने की ज़रूरत नहीं है.मौलाना असरार कासमी की सेक्युलर कांग्रेस पार्टी चूँकि भाजपा के साथ खड़ी थी तो मौलाना की बिसात क्या?बाहर में भले ही बयान देते रहें. बरगला कर मुसलमानों का वोट जो लेना है! सच बात यह है की बाक़ी मुस्लिम सांसदों ने मुसलमानों को मायूस किया. मगर ये ना समझिये की ओवैसी मुसलमानों के नायक बने रहेंगें. चुनाव आने दीजिए, ओवैसी से बड़ा खलनायक कोई नहीं होगा. वो फिर भाजपा के एजेंट ठहराए जायेंगे.अभी कई साइट पर मैं ख़बर देख पा रहा हूँ की’तीन तलाक़ पर ओवैसी ने मोदी को फिर से नंगा किया, भाजपा की बोलती की बंद’.मगर यही क़ौम उन्हें बेतरह से उन्हें नंगा करेगी. दस तोहमत लगाएगी. भाजपा का एजेंट क़रार देगी.राज्यों को सिर्फ़ अपने बाप की जागीर समझ कर बिहार,यूपी, महाराष्ट्र में नहीं आने की अपील ही नहीं, मरने- मारने पर तुल जाएगी. बिहार विधानसभा चुनाव में जदयू के के सी त्यागी ने ओवैसी पर भाजपा से डील का शोशा छोड़ा था.लालू के चम्मच बने एक डॉक्टर तो हाथ धोकर पीछे पड़ गए थे. पता कीजिए डॉक्टर आज किस राह पर हैं,मोदी भक्ति की गीत किस क़द्र गा रहे हैं और के सी त्यागी की पार्टी भाजपा की एजेंटी में किस तरह उठक- बैठक कर रही है. दरअसल, हमारी अपनी कोई सियासी सोच है ही नहीं.हम दूसरे की ज़बान बोलते हैं.कथित सेक्युलर नेताओं की ज़बान बोलते हैं.इसलिए,जब भी भारत में मुस्लिम नेतृत्व उभरती है, हम उसे भाजपा का एजेंट कह देते हैं.अल्लाह ने ज़बान तो अपनी दी है.मगर इस ज़बान का इस्तेमाल कोई और करता है. हम आज तक लालू, मुलायम, ममता,अखिलेश, माया, सोनिया की ज़बान बोलते आए हैं. इसलिए, धोका भी उतना ही खाते हैं. सेक्युलरिज़म का सारा ठीक़ा हमने ही ले रखा है. जबकि,सेक्युलर हिंदुस्तान कभी हमारे साथ खड़ा नहीं रहा. पचहत्तर ख़ामियों के बावजूद तीन तलाक़ का क़ानून जिस तरह बना वो सेक्युलर भारत केलिये ख़तरनाक संकेत है. मसला तीन तलाक़ का नहीं है.जिस हटधर्मी से सदन में पास कराया गया और पूरा सदन (सभी सेक्युलर पार्टी ने हथियार डाल दिया)जिस तरह से नतमस्तक रहा , कल को कॉमन सिविल कोड भी इसी तरह लाया जाएगा. हमारे जैसे मुसलमानों की असल चिंता यह है. सवाल यह है की तीन तलाक़ का मसला देश की समस्या क्यों नहीं है.अकेले, असादुददीनओवैसी ही क्यों बोले. मुस्लिम वोट के सौदागरों के मुँह में दही क्यों जम जाता है. असल सवाल अपनी क्यादत का है. सदन में एक नहीं दस ओवैसी की ज़रूरत है. मुँह में ज़बान वाले प्रतिनिधि भेजिए, ज़्यादा से ज़्यादा भेजिए. अपने बूते राजनीति कर रहे अपने भाईयों को एजेंट कहना छोड़िए. अपने सियासी दुश्मनों की पहचान कीजिए. जो सत्तर सालों से ऐन मौक़े पर आप का साथ छोड़ देता है, आपको धोका देता है. एक रिपोर्ट वतन समाचार की. 6 अक्टूबर 2017 को उन्होंने प्रधानमंत्री नरेंद्र मोदी को एक तफ़सीली खत लिखा था. प्रधानमंत्री नरेंद्र मोदी को लिखे पांच पन्नों के इस ख़त में उन्होंने उनसे एक मजलिस की तीन तलाक (तलाक-ऐ-बिदअत) को खत्म करने के लिए संसद से कानून बनाने की अपील करते हुए कहा था कि अगर सरकार इस पर आगे नहीं बढेगी तो वह अगले महीने आंदोलन करने के लिए मजबूर होंगे. वतन समाचार से बातचीत में उन्हों ने बताया कि मुझे ऐसा लगा कि शायद प्रधानमंत्री इस पर इतनी तवज्जो नहीं देंगे, क्योंकि इस की ज़ुबान सख्त थी. हमने इस में यह भी कहा था कि अगर संसद से कानून पारित नहीं होता है तो फिर वह आंदोलन के लिए मजबूर होंगे. उन्होंने बताया कि उन्होंने प्रधानमंत्री नरेंद्र मोदी से अपील की थी कि जिस तरह 1986 में सुप्रीम कोर्ट के फैसले को संसद के जरिए पलट कर धूमिल किया गया उसी तरह इस बार नहीं होना चाहिए, इसलिए कानून बनाना जरूरी है. अगले दिन प्रधानमंत्री नरेंद्र मोदी का मेरे पास फोन आया. फिर 1 घंटे की लंबी मीटिंग में प्रधानमंत्री नरेंद्र मोदी को पूरे प्रकरण को समझाने की कोशिश की. बातचीत में प्रधानमंत्री नरेंद्र मोदी से कहा कि यह सदियों पुरानी बिदअत खत्म होनी चाहिए. आरिफ मोहम्मद खान ने बताया कि प्रधानमंत्री नरेंद्र मोदी ने वादा किया कि कल कोई आपसे मिलेगा. आरिफ मोहम्मद खान ने बताया कि अगले ही दिन लॉ मिनिस्ट्री के लोग उनके घर आगए. जॉइंट सेक्रेटरी ड्राफ्टिंग ने उनसे कहा कि ड्राफ्ट बनाने में वह उन से सरकार की मदद चाहते हैं. जिस पर मैं ने कहा कि मै सिर्फ दो चीजें चाहता हूँ. इसमें सजा का प्रावधान होना जरूरी है, ताकि तलाक तलाक तलाक की प्रथा पर रोक लगे. मुझे खुशी है कि मेरी दोनों बातों को सरकार ने माना, और इस सदियों पुरानी बिदअत को खत्म कर दिया गया. आरिफ मोहम्मद खान ने बताया कि मुस्लिम पर्सनल ला बोर्ड के लोग कहते हैं कि मेंटेनेंस पति की जिम्मेदारी नहीं है, और कुरान की आयत मुसलमानों के लिए नहीं बल्कि मुत्तकियों के लिए है. अगर मेंटेनेंस शरीयत का हिस्सा नहीं है, तो एक मजलिस की तीन तलाक भी शरीयत का हिस्सा नहीं है. मीनाक्षी लेखी के जरिये 28 दिसंबर-२०१७ के संसद के दिन को आरिफ मोहम्मद खान और इन जैसे लोगों को समर्पित किए जाने की बात पर उन्होंने कहा कि मैं मीनाक्षी जी का शुक्रिया अदा करता हूं कि उन्होंने मुझे इस लायक समझा, लेकिन मैं इससे ज्यादा अल्लाह का शुक्र अदा करता हूं कि मेरी जिंदगी में इस पूरे मामले पर फैसला आ गया वरना होता यह है कि तहरीक चलाने वाले चले जाते हैं, उसके बाद कोई कानून आता है और लोग उनको याद करते हैं. उन्होंने कहा कि मुझे कोई एजाज नहीं चाहिए मैं सिर्फ और सिर्फ अल्लाह का शुक्र अदा करता हूं और इस्लाम के अनुसार प्रधानमंत्री नरेंद्र मोदी का शुक्रिया अदा करता हूं, क्योंकि जो बंदों का शुक्र अदा नहीं करता वह अल्लाह रब्बुल आलमीन का भी शुक्रगुजार नहीं हो सकता. आरिफ मोहम्मद खान के मुताबिक तलाक की प्रथा को दुनिया की कोई ताकत खत्म नहीं कर सकती है, क्योंकि अगर मियां बीवी साथ नहीं रहना चाहते तो उन्हें कोई रोक नहीं सकता, और इस्लाम ने दोनों को ही तलाक़ का अधिकार दिया है जिसे बीवी दे तो खुला कहा जाता है, लेकिन एक मजलिस की तीन तलाक यह सदियों पुरानी बिदअत थी इस पर रोक लगाना जरूरी था. इस संबंध में सरकार ने एक सराहनीय कदम उठाया है क्योंकि मुस्लिम बच्ची जब जवान होती है तो वह इस सोच के साथ जवान होती है कि उसका पति जब भी चाहेगा उसे तलाक तलाक तलाक कह कर अलग कर देगा, और इस तरह की बातें मैं अपनी जिंदगी में देख चुका हूं. जिस तरह से सुप्रीम कोर्ट के फैसले के बाद भी यह बिदअत जरी थी और लोग बाज़ नहीं आ रहे थे तो यह कानून उन के लिए एक सबक है. बोर्ड पर इस्लाम की छवि धूमिल करने का आरोप:. आरिफ मोहम्मद खान ने AIMPLB पर आरोप लगाया कि इस्लाम के चेहरे को ख़राब करने के लिए बोर्ड पूरी तरह से जिम्मेदार हैं. अगर यह लोग किसी दूसरे देश में होते तो लोग सड़कों पर इनको सजा देते. 1986 में बोर्ड ने कहा कि क़ुरान के अनुसार मेंटेनेंस मुसलमानों के लिए नही बल्कि मुत्तकियों के लिए है, इस से गलत बात और क्या हो सकती थी. बोर्ड पर सवाल: मुस्लिम पर्सनल ला बोर्ड के वकील पर सवाल उठाते हुए आरिफ मोहम्मद खान ने कहा कि सर्वोच्च न्यायालय में कपिल सिब्बल ने भी खुद को बोर्ड से अलग कर लिया था. ऐसा इतिहास में पहली बार देखा गया कि वकील यह कह रहा हो कि जिस तरह से उस की आस्था है कि अयोध्या में राम पैदा हुए उसी तरह से मुस्लिम पर्सनल ला बोर्ड की यह पुरानी आस्था है, बोर्ड ने इस से खुद को अलग क्यों नहीं किया. तीन तलाक देने पर बोर्ड के जरिये सोशल बायकॉट के सवाल पर आरिफ मोहम्मद खान ने कहा कि यह लोग क्या सोशल बायकॉट करेंगे, मैंने तो यह पूछने की कोशिश की कि मुस्लिम पर्सनल बोर्ड में कितने ऐसे लोग हैं जिन्होंने तीन तलाक के जरिए से अपनी बीवियों को घरों से निकाल दिया है? इस पर खामूही क्यों है? सज़ा के सवाल पर आरिफ मोहम्मद खान का कहना था कि जहां तक सजा में ज़ियादती की बात कही जा रही है तो यह बिल्कुल बेबुनियाद है. उन्होंने कहा कि अगर 40 कोड़े लगाए जायें जो हज़रत उमर RA के ज़माने में लगाए जाते थे तो कोई जिंदा नहीं बचेगा. इस हिसाब से यह सजा बहुत कम है. आरिफ मोहम्मद खान ने कहा कि ऑल इंडिया मुस्लिम पर्सनल ला बोर्ड ने सर्वोच्च न्यायालय में हलफनामा दिया था कि वह इस मामले में हस्तक्षेप न करे, अगर सरकार चाहे तो पार्लियामेंट के जरिए इस संबंध में कानून बना सकती है, और जब सरकार ने कानून बना दिया है तो अब यह लोग कह रहे हैं कि सरकार कानून इस संबंध में नहीं बना सकती है. और इसे शरीयत में मुदाखिलत बता रहे है, जबकि शरियत में कोई मुदाखिलत नहीं कर सकता है, सिर्फ सदियों पुरानी बिदअत को रोका गया है. हैदराबाद के निज़ाम मीर उसमान अली खान जिन्हें मोहसिन ए हिंदोस्तान कहा जाये तो ज़्यादा बहतर होगा.दरअसल मीर उसमान अली खाँ जो की 1940 के दशक मे दुनिया के सबसे अमीर इंसान थे.उनकी कुल संपत्ती उस समय अमेरीका की कुल इकॉनमी का 2% थी. अगर आज हिसाब लगया जाये तो लगभग 33.8 बिलियन डॉलर होगी.1937 मे उन्हे टाइम मैग़ज़ीन के कवर पेज पर जगह दी गई थी. और अपने आखिर वक्त तक वो एशिया के सबसे धनी व्यक्ती रहै. ये सारी जानकारी तो विकिपीडिया पर मौजूद है लेकिन वो बात मौजूद नही जिसकी बिना पर मैने मीर उसमान अली खांन को “मोहसिन ए हिंदोस्तान” कहा.. तिब्बत की आज़ादी के मुद्दे पर भारत के रुख पर चीन विरोध दर्ज कराकर भारत को धमकी दे रहा था . हमारी फौजो के पास इतना असलाह और लाव लश्कर नही था की अगर माहौल बिगडे तो चीन से मुक़ाबला किया जा सके. हालात की नज़ाकत को ध्यान मे रखते हुआ प्रधान मंत्री श्री लाल बहादुर शास्त्री ने राष्ट्रिय सुरक्षा कोष की स्थापना की.और मदद की गुहार लगा कर रजवाडो का रुख किया..लेकिन कामयाबी हासिल ना हुई.राजा-महाराजा ने हाथ खडे कर दिये….शास्त्री जी मायूस हो गये. फिर अचानक हैदराबाद निज़ाम का ख़्याल आया… और चल दिये हैदराबाद…निज़ाम मीर उसमान अली खां को हालात से रुबरू कराया…तुरंत ही मीर उसमान अली खां ने 5 टन सौना अपने मुल्क की खिदमत मे देने का फरमान सुना दिया. वहां मौजूद सभी आम ओ ख़ास के होश उड गये…. इतनी बडी मदद….और निज़ाम मीर उसमान अली खां आसिफ जां ने वो सखावत का मुज़ाहिरा किया की आज तक उनकी इस दानवीरता की बराबरी करने वाला सरज़मीन ए हिंद पर पैदा नही हुआ.